Thompson Cancer Survival Center at Methodist offers a high level of cancer care, including state-of-the-art treatments and wellness services designed to care for the whole patient. People diagnosed with cancer typically enter treatment through physician referral to an appropriate specialist on our staff. For many patients, treatment includes surgery, radiation therapy and chemotherapy. In addition, Patient Navigation is available to help certain cancer patients with the diagnosis and referral process. Radiation is a vital part of the comprehensive cancer treatment program. At Thompson, patients have access to some of the latest advances in treatment, including Image Guided Radiation Therapy (IGRT) and Intensity Modulated Radiation Therapy (IMRT). Thompson at Methodist now offers Cone Beam technology, which is an enhancement to its existing linear accelerator used to deliver radiation. This addition allows for more targeted radiation treatments. Used with any type of cancer, Cone Beam CT is more accurate, it reduces side effects to other parts of the body, and it allows for a safer, larger delivery of radiation. This will enable the center to offer patients a better chance at not just surviving cancer, but thriving after radiation treatment. 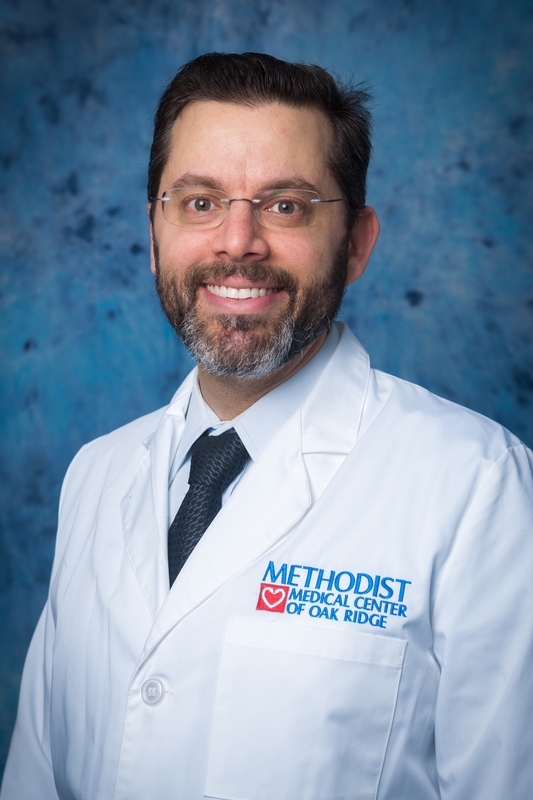 Thompson Cancer Survival Center at Methodist is proud to have Elliot Navo, MD, as the center’s Medical Director. Dr. Navo received his medical degree from State University of New York Downstate Medical Center, Brooklyn, NY in 2010. He completed his transitional residency at New York Hospital of Queens, Queens, NY, from 2010-2011 before completing his Radiation Oncology residency at State University of New York Downstate Medical Center. Dr. Navo is board-certified in Radiation Oncology. Patient Navigation provides Thompson at Methodist with a coordinated, expedited process to confirm each patient’s diagnosis and agree upon the treatment plan so treatment can begin without delay. The staff at Thompson Cancer Survival Center at Methodist strives to make your treatment experience as comfortable and as convenient as possible. From the soothing murals commissioned by a former patient’s family, to the myriad of support services, the facility offers you a wealth of information to help you through your cancer treatment. The Cancer Resource Center is on the 2nd Level of Thompson at Methodist and provides essential services and support to patients dealing with all forms of cancer. Here, cancer patients, survivors and caregivers find guidance to navigate through their cancer journey. A wig bank provides patients with free wigs and personalized fittings by appointment, and self-serve access to literature and the latest in updated medical information is available Monday through Friday from 9 a.m. to 4 p.m. For personal assistance from one of our staff members, please schedule an appointment by calling (865) 835-4530. The Palliative Care Consultation Service is available to inpatients and the families of inpatients who are experiencing the symptoms and burdens of chronic, progressive illness. The service brings together a multidisciplinary health care team which includes a physician, nurses, a social worker, chaplain, pharmacist and dietitian. This core team helps patients and their families achieve the best possible quality of life by providing aggressive pain and symptom management and emotional, social and spiritual support. Radiation therapy patients may develop lymphedema. Methodist Therapy has physical therapists specially trained in lymphedema management. This consists of four components: massage to facilitate draining the lymph nodes, skin care, exercise and compression. Nutrition is always a concern for cancer patients. Many find that they cannot eat certain foods, or cannot consume an appropriate level of calories. That’s why Thompson at Methodist offers weekly nutritional counseling sessions for patients. Three Hospitality Houses are available to patients who travel a great distance to receive treatment at Thompson at Methodist. These houses, made available through the generous support of the Methodist Medical Center Foundation through individuals and businesses in our region, provide temporary lodging for patients when they need a homelike setting the most. The hospitality houses aim to relieve patients of the financial burden associated with conventional temporary housing, thereby enabling them to focus on physical and emotional healing. For information and room availability, please call the Hospitality Houses at (865) 835-4358 between the hours of 8:30 a.m. and 5:00 p.m. For after hours assistance, call (865) 835-1000. Learn more about the Hospitality Houses. Thompson Cancer Survival Center at Methodist works closely with the Cancer Support Community to provide psychological, educational and social support services to cancer patients, their families and their friends. Support groups, programs provided by licensed psychotherapists, stress management sessions, educational workshops and social events are just a few of the services offered by the Cancer Support Community. These services help patients focus on improving their quality of life while undergoing cancer treatment. When fighting cancer, you are never alone. Thompson Cancer Survival Center at Methodist and Cancer Support Community East Tennessee (CSC), have partnered together to bring a series of day and evening classes to support cancer patients and caregivers. The free programs will include a light meal, informative presentation, opportunity for questions and answers, and social time for attendees to meet other cancer patients and their support people. Click here for a full description of all classes, times and RSVP information for 2019.